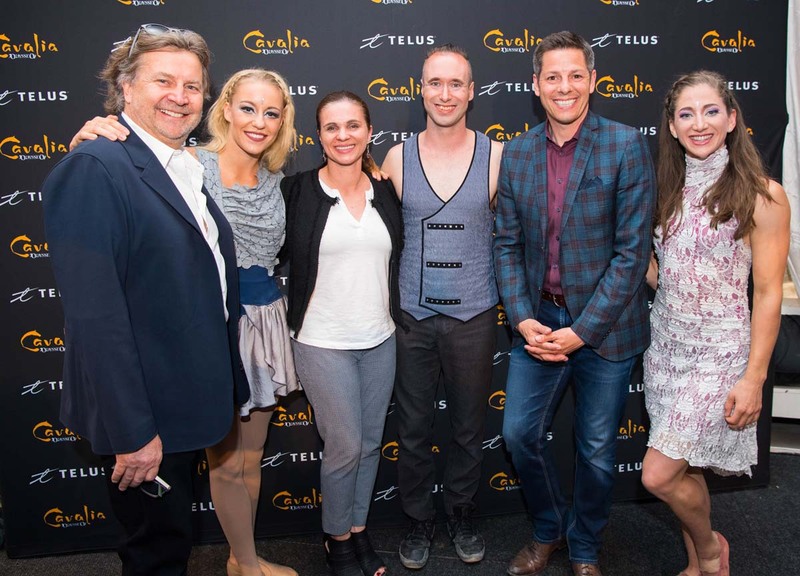 After weeks of enthusiastic anticipation, Cavalia Odysseo made its Manitoba return the night of May 15 in front of a captivated audience of 2,000 in Winnipeg. 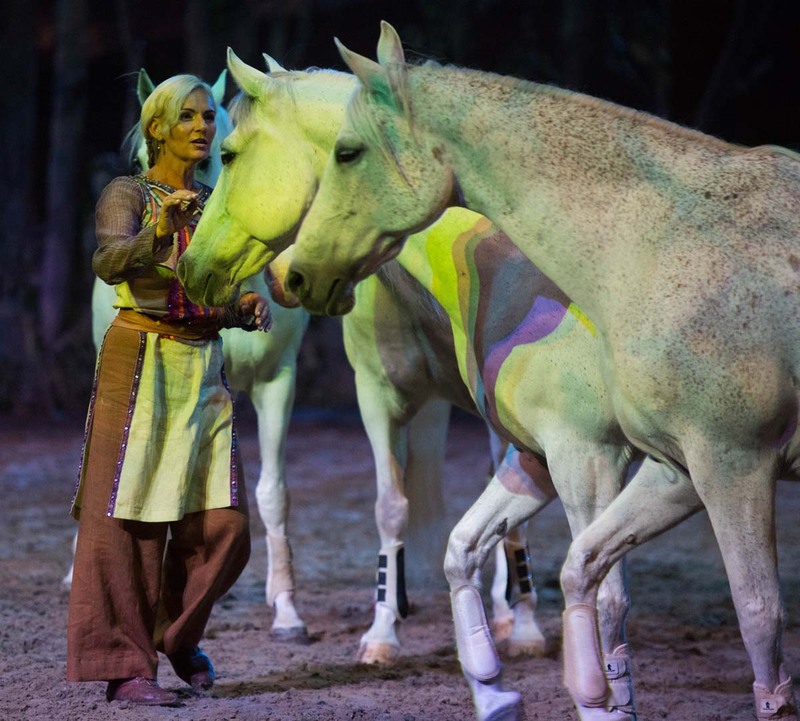 Under the gleaming White Big Top, spectators of all ages were amazed by the unique blend of equestrian and performing arts. 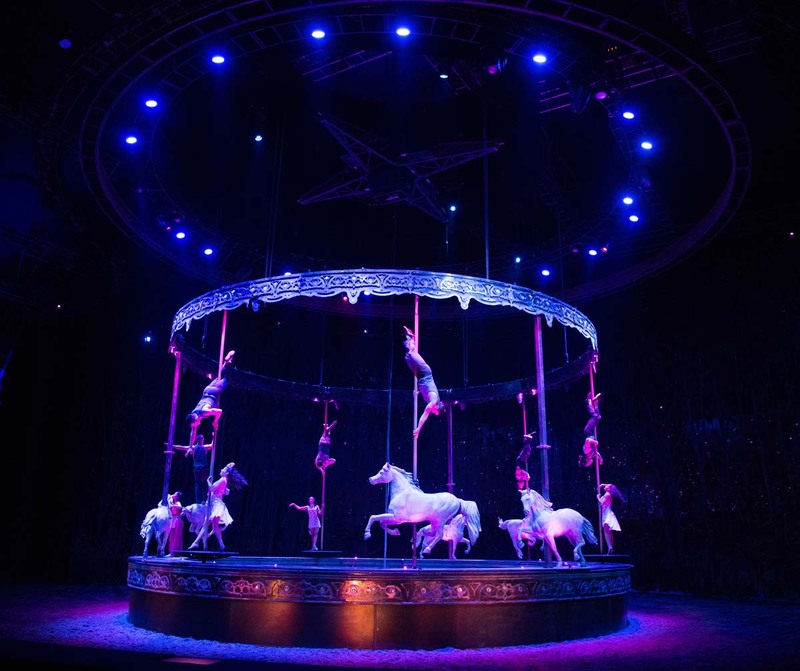 Sharing the magnificent stage with 50 riders, acrobats, aerialists, and musicians, the 70 majestic horses stole the spotlight during this unique theatrical extravaganza, which ended with rapturous applause and a standing ovation. 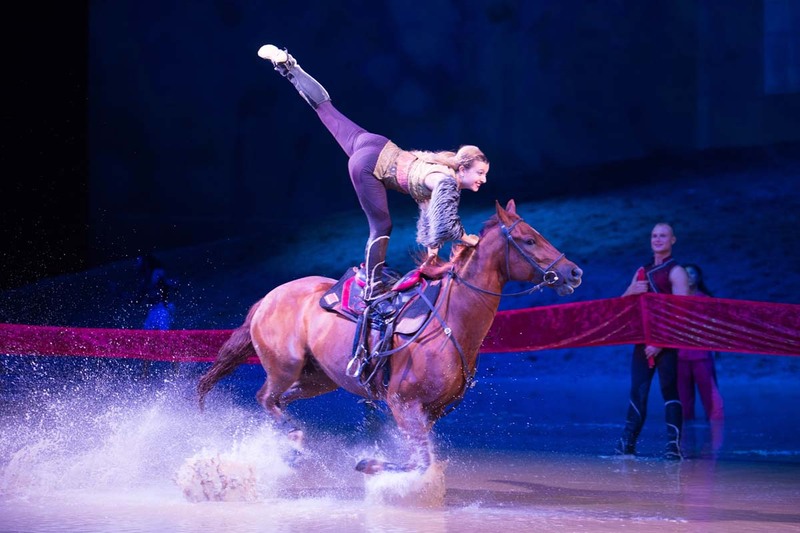 Maria Aragon, 17-year-old Winnipeg singer who gained fame a few years ago when a YouTube video of her rendition of Lady Gaga’s smash-hit “Born This Way” went viral, made her debut in Cavalia Odysseo. As guest singer, her angelic voice enchanted the packed-house. 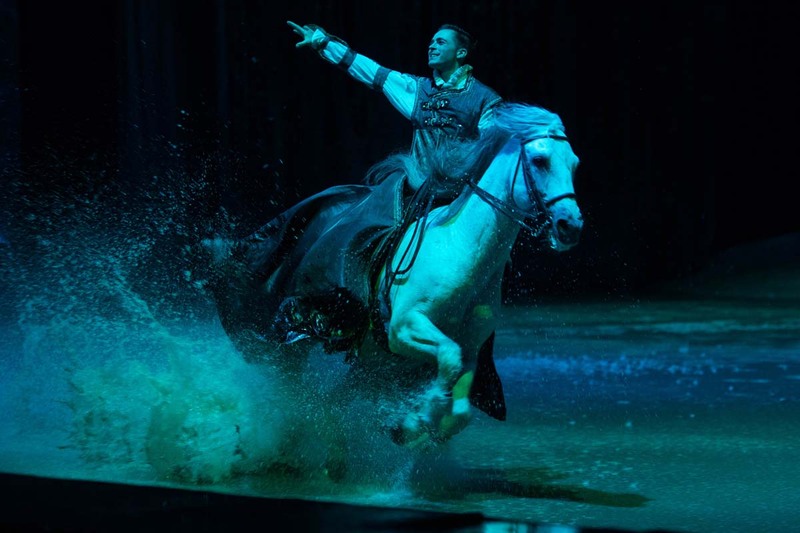 Imagined by Normand Latourelle – creator of Cavalia and renowned for combining different forms of artistic expression and reinventing the scenic space – Cavalia Odysseo is a veritable revolution in live performance that makes hearts race. Audiences of all ages are transported on an epic journey to some of nature’s greatest wonders by this breathtaking production. 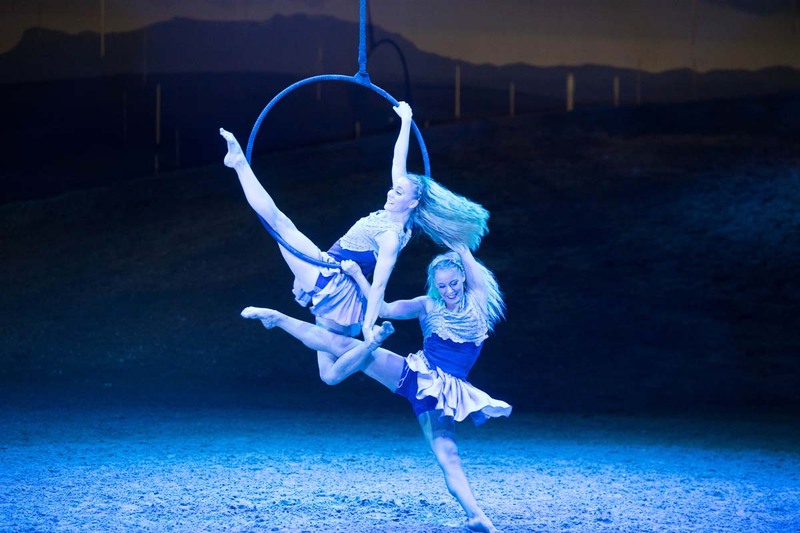 Whether it is the agility of the acrobats, the enchanting score of the live band, or the majestic life-size merry-go-round, the cast and set of Cavalia Odysseo are inspired and inspiring, delivering crowd-pleasing wonders and stunts. To find out more about ticket prices and date, click here.